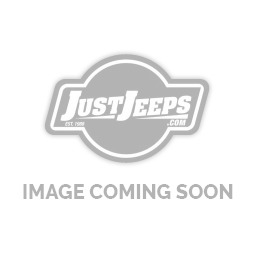 Just Jeeps Jeep Wrangler JK | Jeep Parts Store in Toronto, Canada. Regardless of the model year, Jeep Wrangler JK is always a complete design with an undeniable ruggedness. Given its built-to-last fenders and bumpers, and its heavyweight drivetrain, the vehicle can withstand extreme driving and offer great off-roading experience. This is what sets Jeep Wrangler JKs apart from any other truck in the market. But what will bring a clear difference between your Jeep Wrangler JK and other Wranglers? One of the ways of giving your Jeep Wrangler a unique touch is by choosing its accessories carefully and sourcing them from a reputable dealer. Whether you need new heels, new spare tire, bumper or new seat covers, we can help. Besides, if you are searching for accessories to give your vehicle a new look, then, you have come to the right place. Our broad collection of Jeep Wrangler JK parts and accessories features all must-haves, electronics, and other parts and accessories for your Jeep.